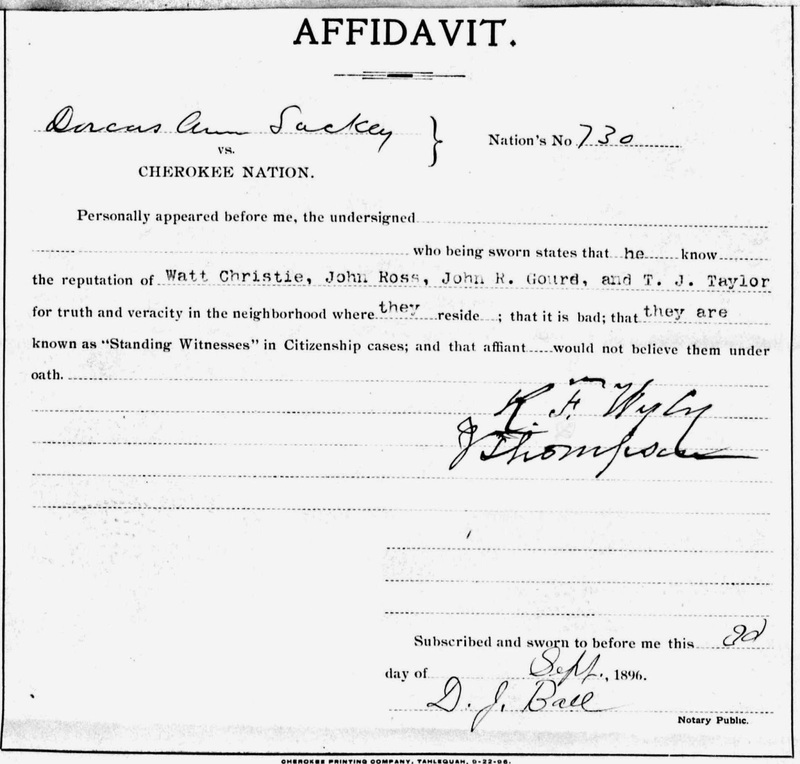 According to the late Cherokee historian and genealogist, Jerri Chasteen, Clem Rogers, father of the famed Will Rogers, testified about one standing witness by saying he would "not believe him if his tongue came notarized." 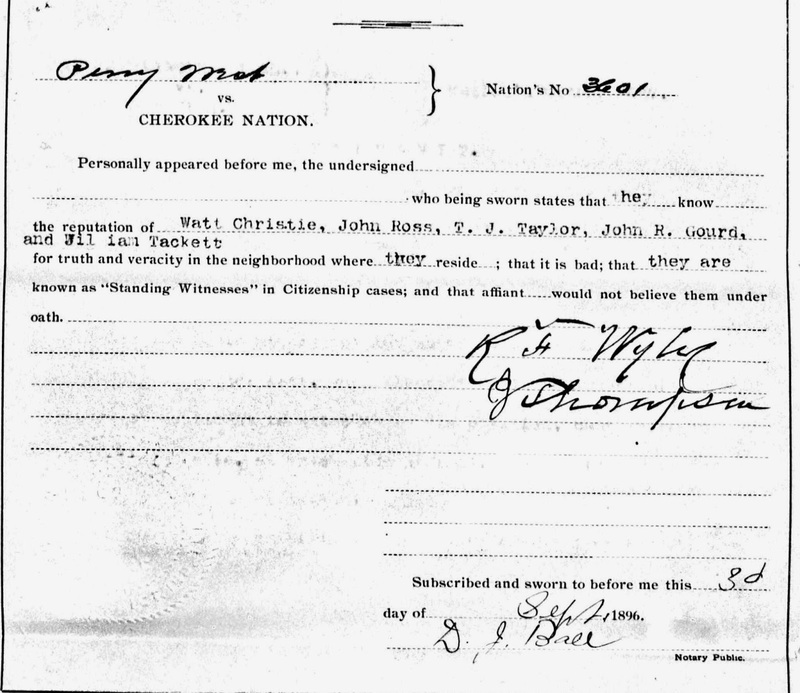 After reading many of the 1896 Citizenship Cases, it became clear, Rogers was justified in what he said. 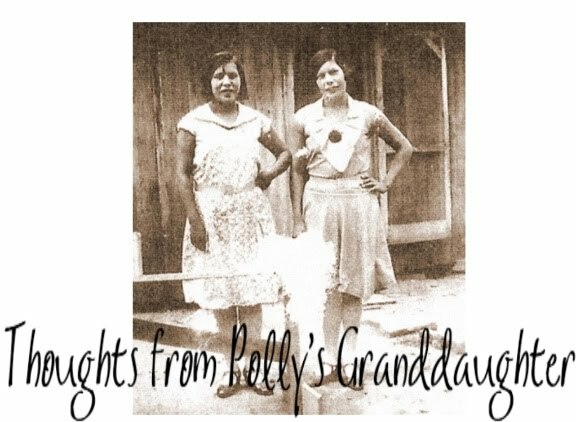 While there may have been up to 32 people considered standing witnesses in the Cherokee citizenship cases, some were more prolific at testifying than others. 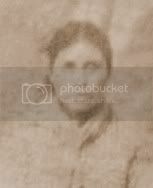 Other names that I've found as possible standing witnesses are George Dreadfulwater, Watt Sanders, Henry Hawkins, William Matoy, and George Wilkerson. These men are found giving testimony as early as 1878 and as late as 1896. 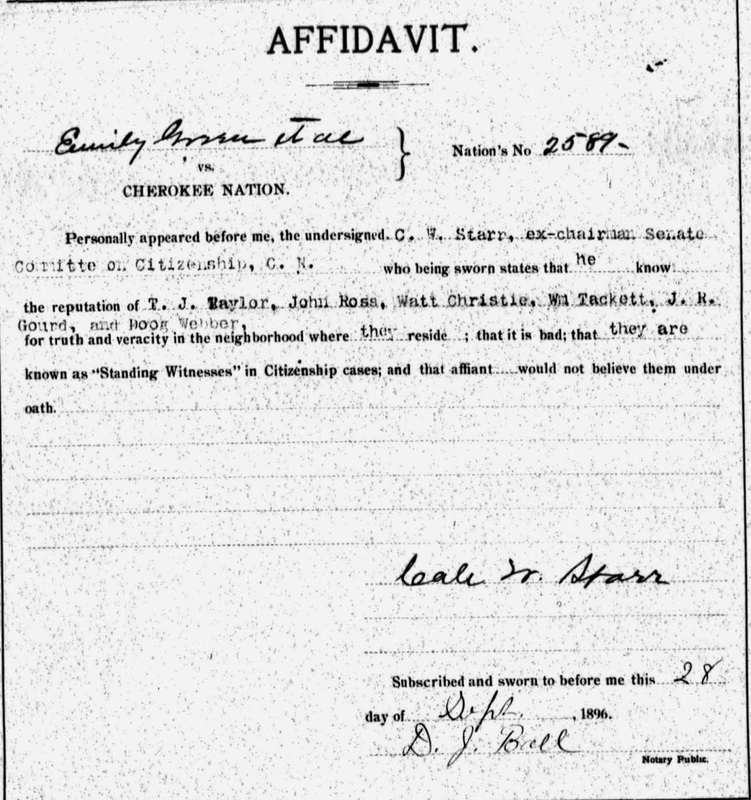 The problem with standing witnesses got so bad, the Cherokee Nation prepared an affidavit form that Cherokees of good character would sign attesting to the fact specific other people were known as professional witnesses. 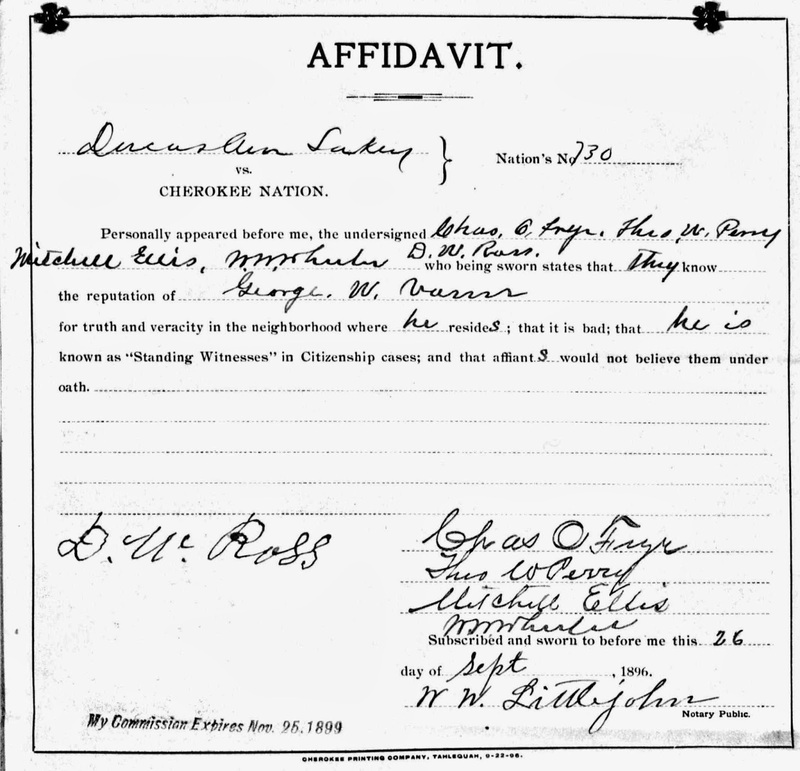 These forms are found, notarized, in many of the citizenship applications and court cases. 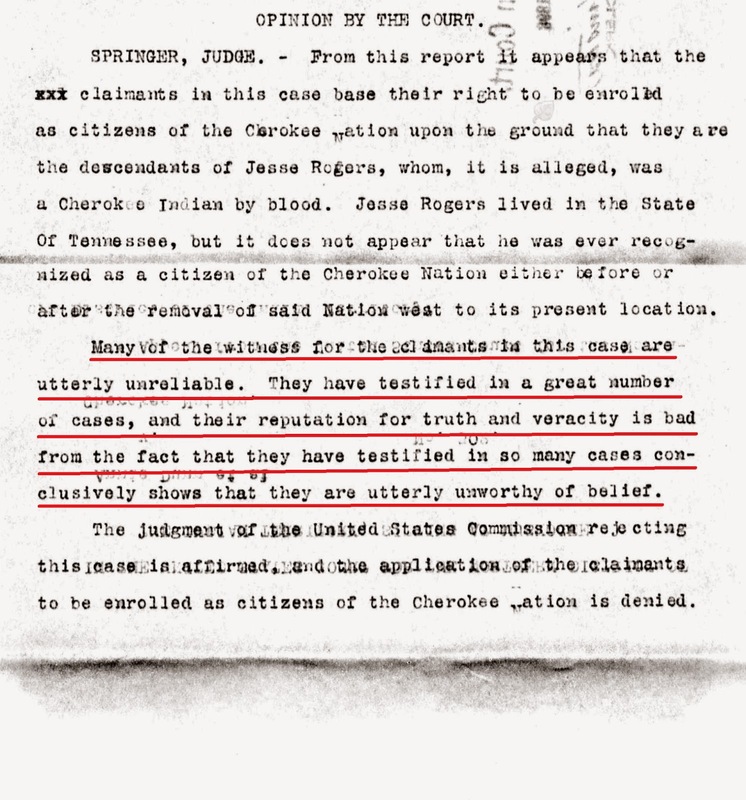 There are also sworn statements by Cherokees, stating certain individuals are known as professional witnesses. 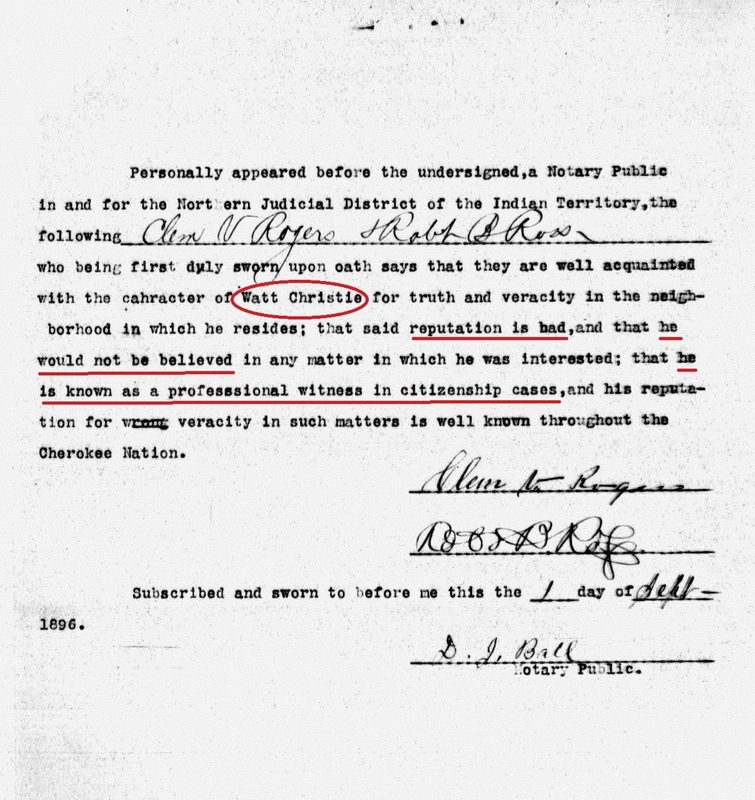 The following is a sworn statement made by Clement V Rogers, father of the famed Will Rogers, against well known standing witness, Watt Christie. 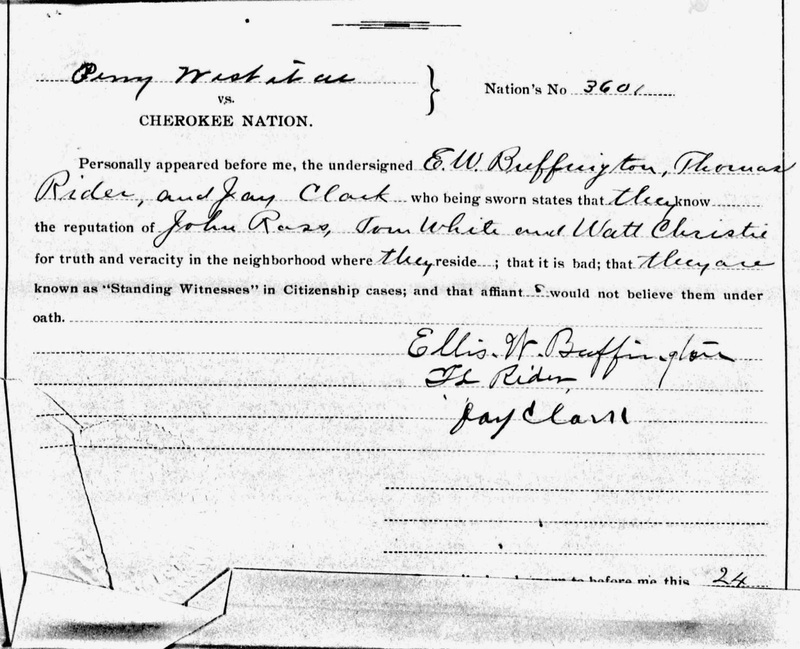 The arguments made by the Cherokee Nation lawyers who defended and protected the Cherokee Nation against fraudulent citizenship claims often refer to many of the above named men as "disreputable witnesses." 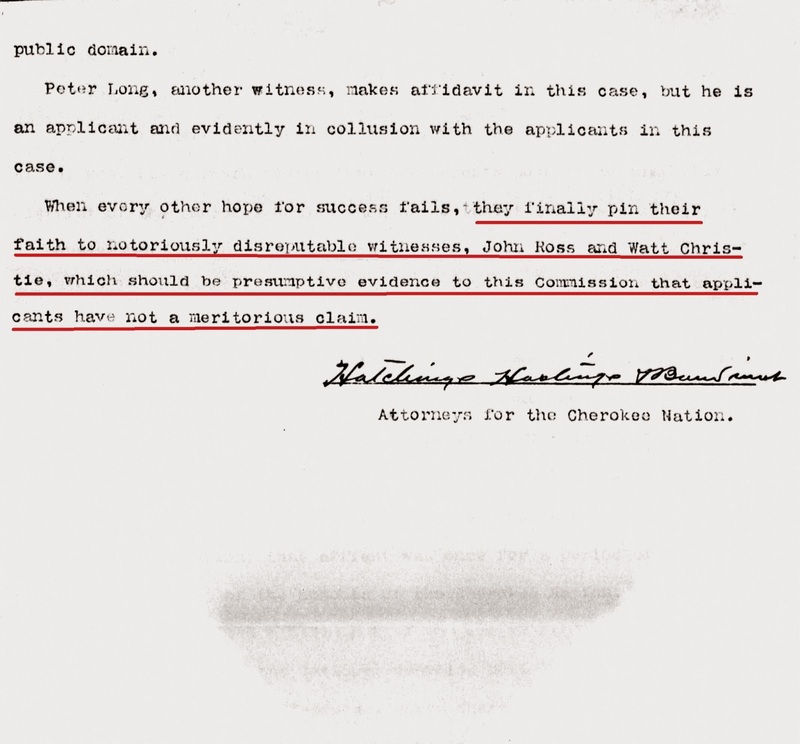 Even Judge William M. Springer (Northern District, Indian Territory, United States Court of Appeals) knew the reputation of the standing witnesses, as seen below, where the witnesses were Susan J. Davis, Wat Sanders, William Matoy, George W Vann, and John Ross. In my introduction to this series, I gave the definition for standing witness. In part two, I have shown why they are called "standing witnesses" and how they were identified through research. Stay tuned for the next installment where I share documentation showing one of these standing witnesses admitting they sold their testimony for a price. This is going to be rich I can tell. Im looking forward to the next one.